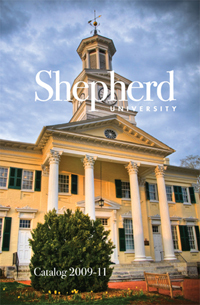 This 2009-11 Shepherd University Catalog with supplement changes is for information purposes only and is not considered a binding contract between Shepherd University and students. Changes may apply to both present and prospective students. Although University officials are available to advise students, it is the student’s responsibility to comply with University policies, including the requirements for degrees.